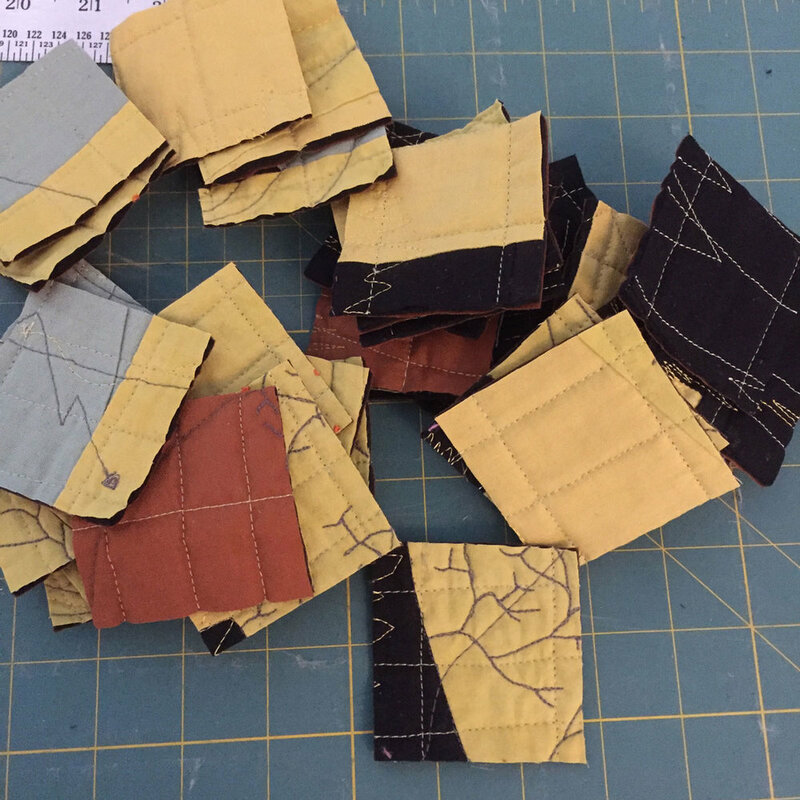 2019 will be a busy quilting year for me. I love hanging out with people who have the same passion. Here are some things to consider when planning your new year. Plan a trip to Memphis this Summer! 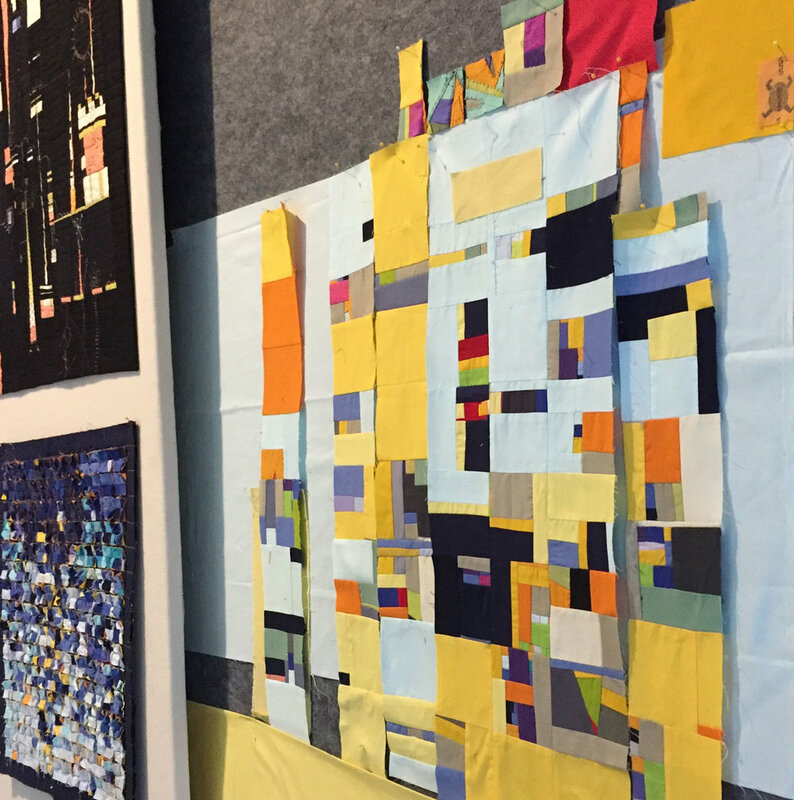 I am heading up a quilt festival in Memphis that debuts on May 10. We are bringing in the Masterworks: Abstract and Geometric show in from SAQA. 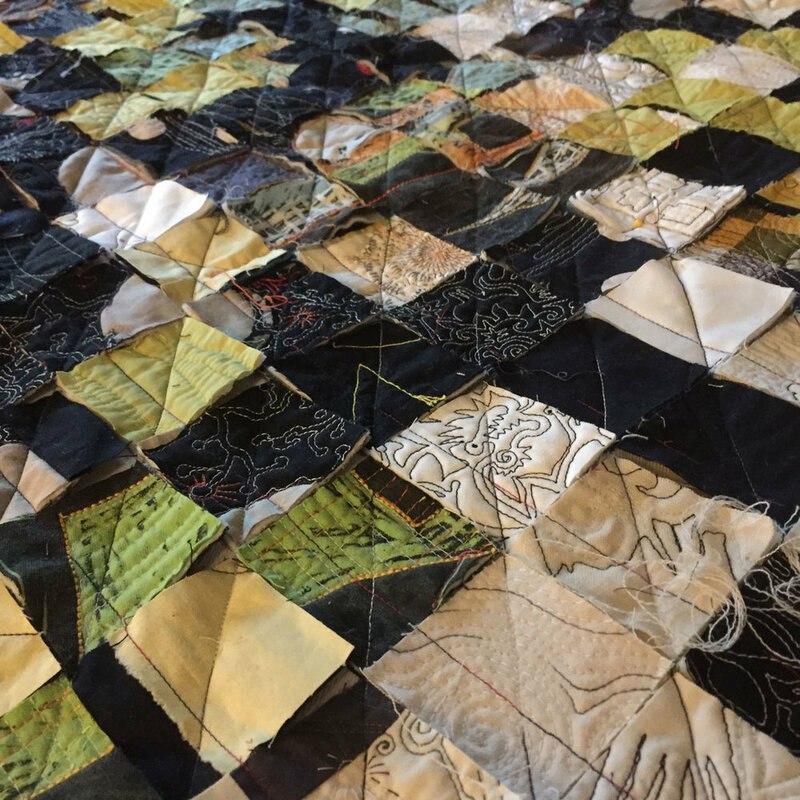 In addition, we have issued a challenge to quilters, makers and artists within a 200 mile radius of Memphis to make up to three quilts. 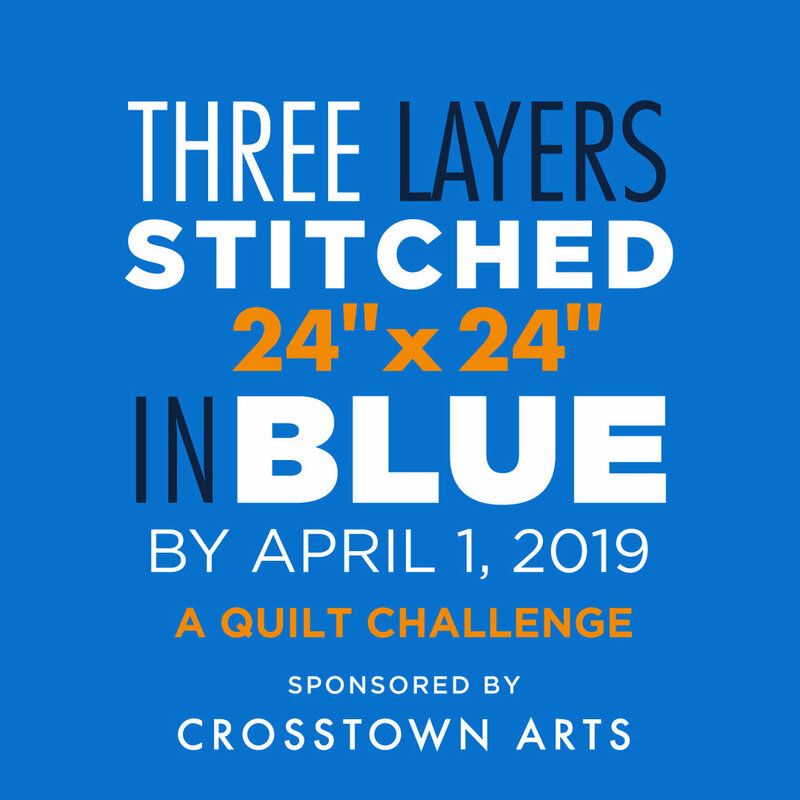 The quilts will be three layers, stitched, 24” x 24” in BLUE. 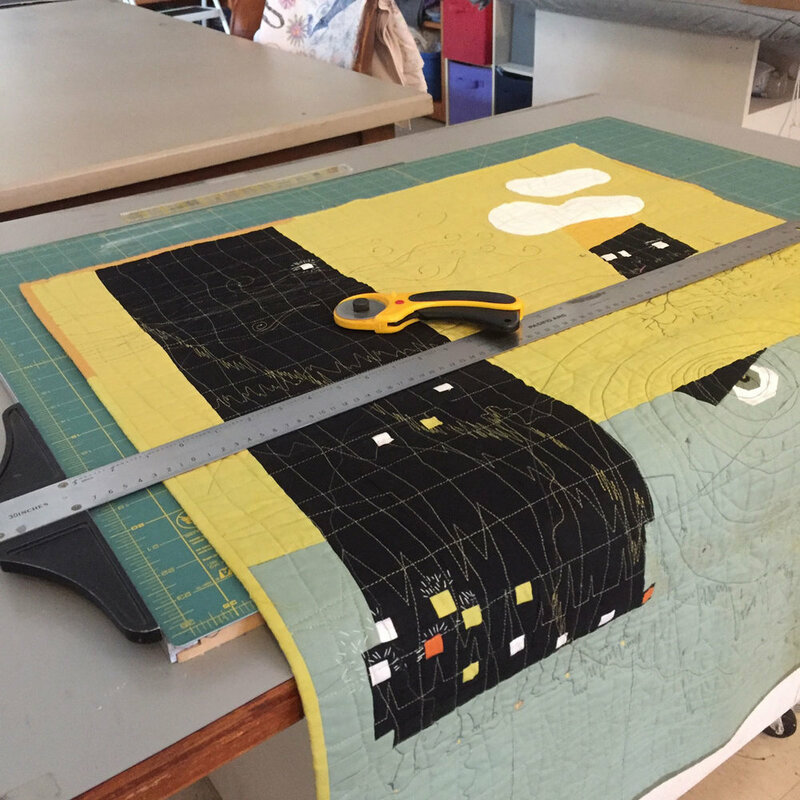 I have children making quilts, woodworkers making quilts, artists making quilts and quilters making quilts. It should be a glorious blue room full of stitching. We are reaching all the guilds, sewing circles and artist groups in the area to focus on BLUE for a little while. Are you within a 200 mile radius of Memphis? Enter the show! Click here for a link to the submission form. The show will be housed in the beautiful Crosstown Concourse art galleries. The two shows will hang from May 10-July 28, 2019. Visit Memphis. Good food, good music, the mother of all rivers — You won’t be disappointed. And in May the azaleas are in bloom. I am teaching workshops three times next year. 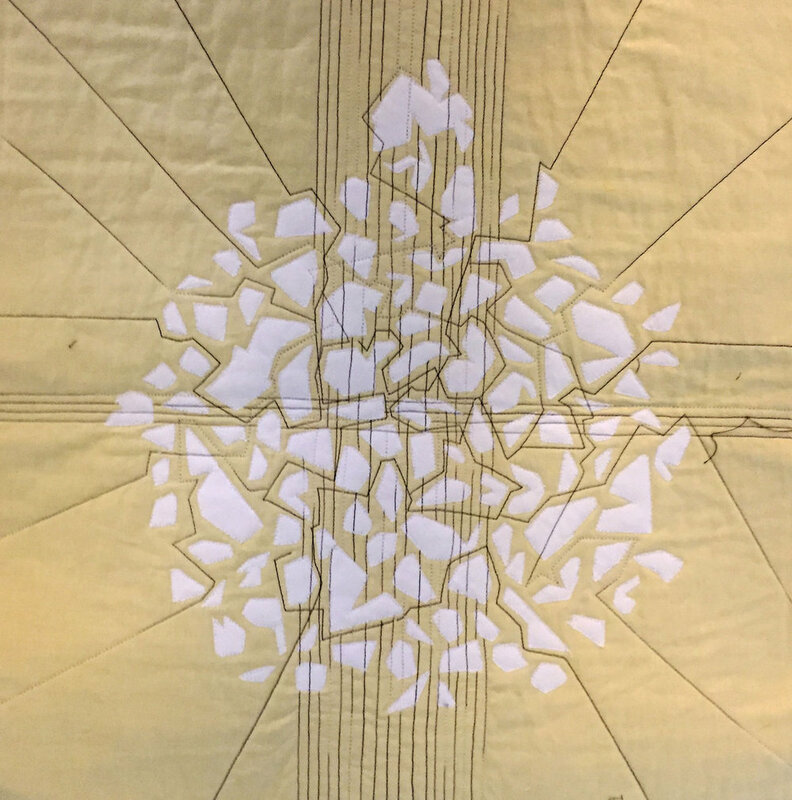 Consider joining me and like-minded explorers in a journey of thread and free-motion quilting. Let loose! We’ll go off the beaten track at these workshops. Focus on Fiber, April 4-6, in New Smyrna Beach, FL. What could be better than a week in Florida as the sun warms us to new inspirations? The beach, a retreat center, and hours with creative people. Classes are filled on a first come/first served basis and classes are filling quickly So hurry and register now! 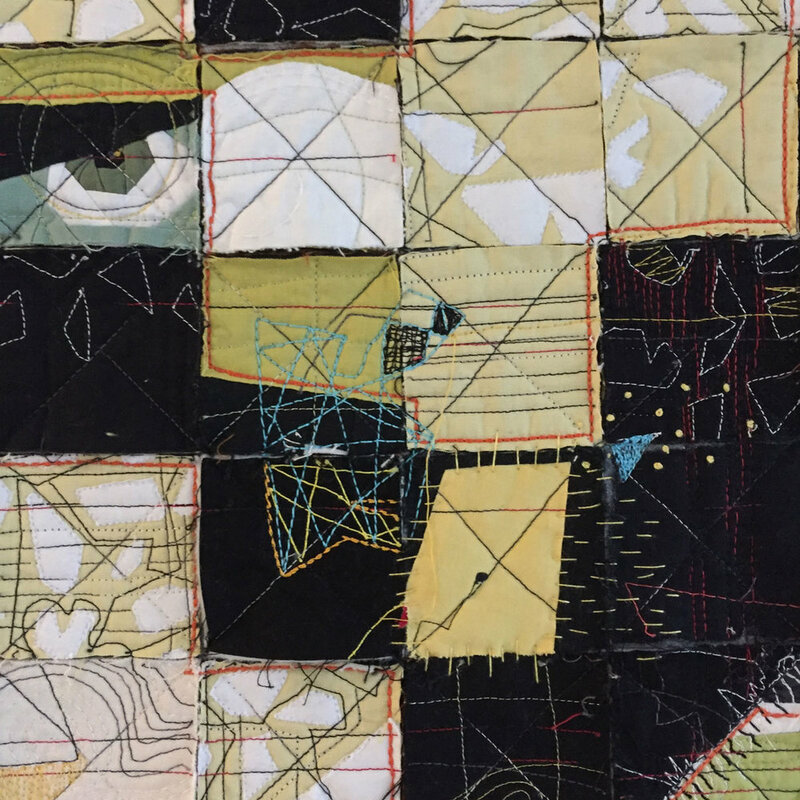 Quilting by the Lake, July 15-19, sponsored by the Schweinfurth Art Center in Syracuse, NY. People from all over the world have enjoyed workshops at QBL. I was supposed to be there two years ago but life got in my way. So I am looking forward to this opportunity to work with some serious stitchers. Join us! Art Quilt Tahoe, November 3-8, at the Zephyr Point Conference Center, Lake Tahoe, California. Need I say more? The mountains, the lake, the workshops, the talent? What are you waiting for? Really, it’s just a portfolio of quilts I have made in the past 15 years. There was a slippery slope of doubt and introspection I encountered while creating it. I am an eclectic explorer carrying a thread of anxiety and mystery through each piece. Many pieces are explosive, dark and uncomfortable. My stitching can sometimes reveal humor in the midst of query and strain. You can order a copy here. 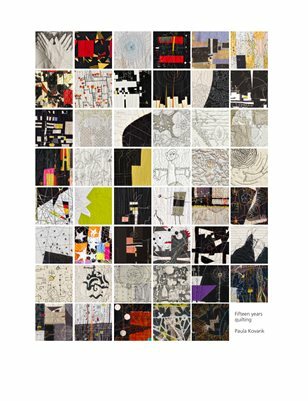 There is a digital version that will lead you to links in this journal that might explain some of the process or thoughts that created the works (just click on the titles of the quilts that have underlines). Or, you can order a printed version. The booklet is 48 pages long. 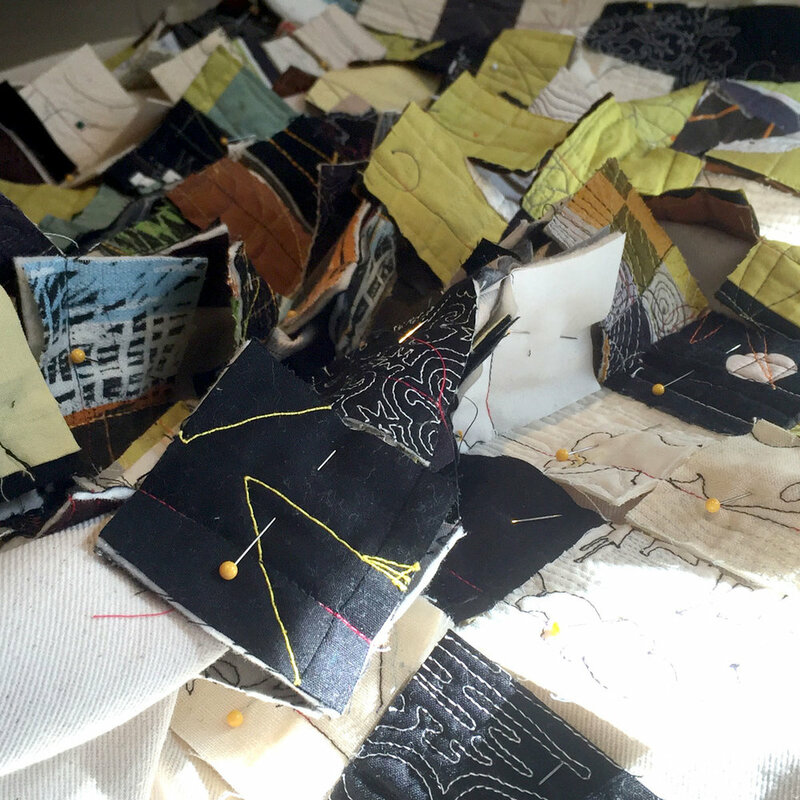 48 pages of explorations in thread and cloth. I recommend the exercise. Reviewing the work I have done over 15 years clarified some of my underlying themes and pointed to some new directions for exploration. Yesterday I was 25, looking forward to a life full of excitement, love and challenges. I got the love — Oh my. I got the excitement —Oh yes. And, I had some challenges along the way. Yes, I did. Today I am older, still trying to be wiser. And this I know: life is short. So, I will reach for my loved ones. Read the good books. Fill my mind with art and nature. Wishing you all a healthy, peaceful and creative new year. I finished Many Moons this week. 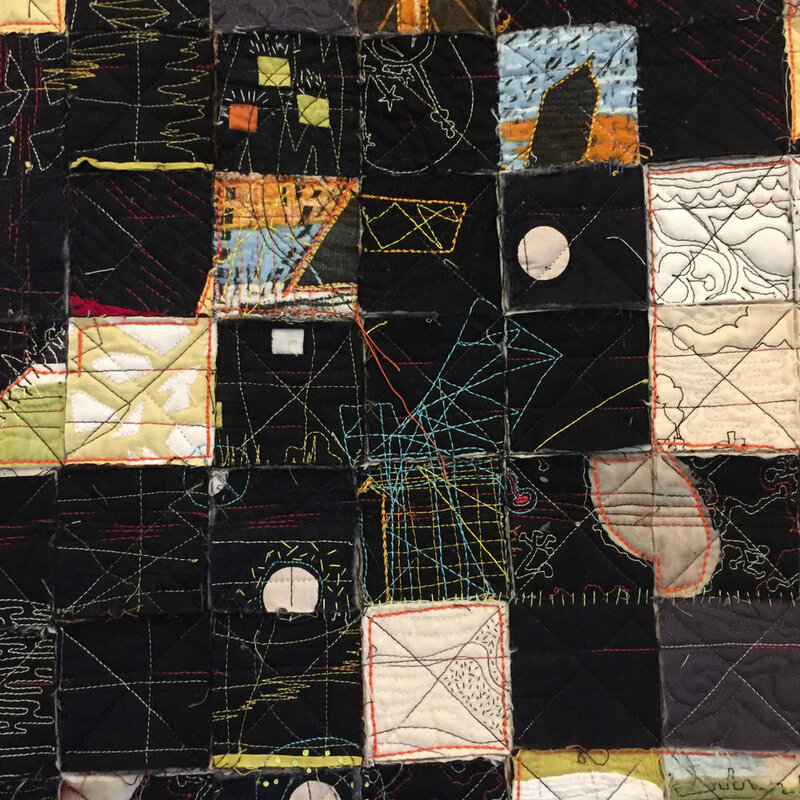 It’s an assemblage of cut up quilts and outliers. Taken as a whole it speaks to my sense of the mysterious. 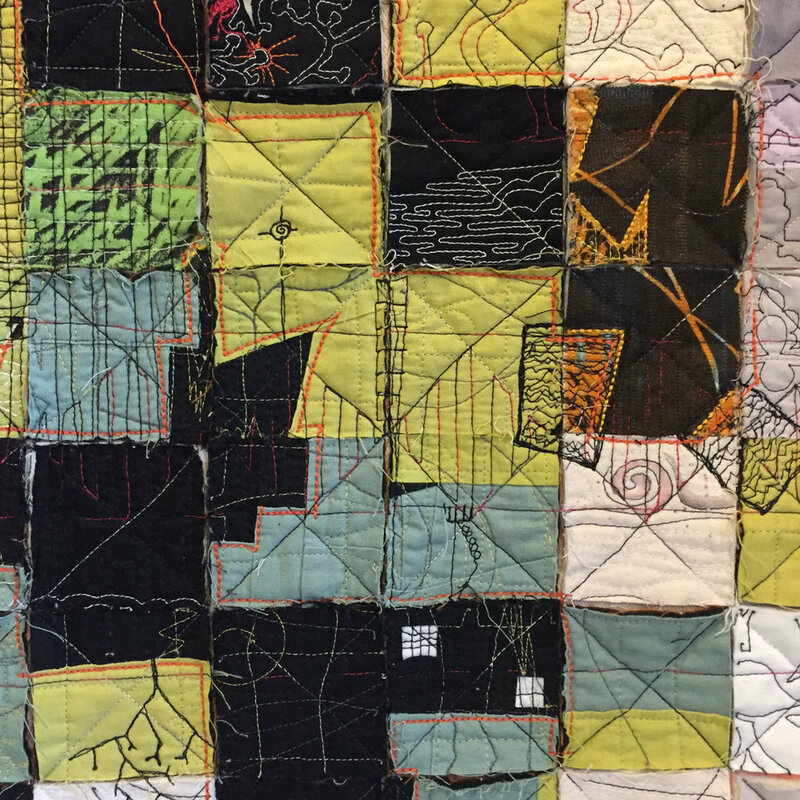 The stitch work is intuitive, experimental and rowdy. Once again I am captivated by the way the back speaks a different language. Yes, it feels done now.